T.J. Jackson will become his sole guardian. 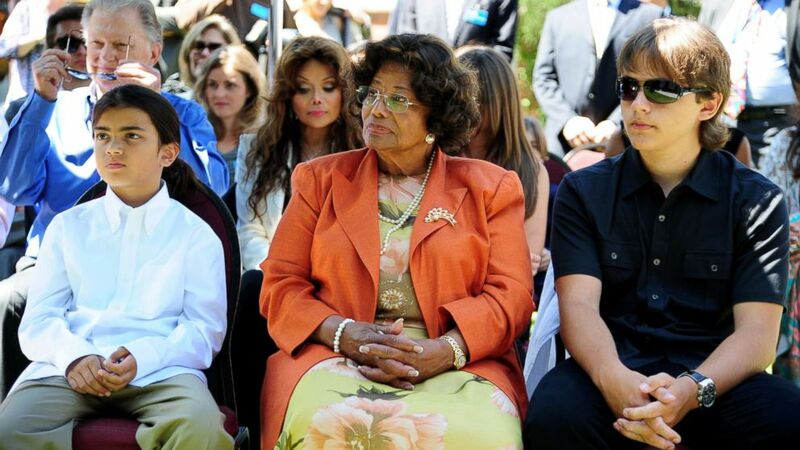 camera (Robyn Beck/AFP/Getty Images) Michael Jackson's mother Katherine Jackson and two sons, Blanket, left, and Prince attend a ceremony honoring Michael Jackson at Childrens Hospital in Los Angeles, Aug. 8, 2011. Katherine Jackson has resigned as co-guardian of Michael Jackson's youngest child, Blanket, according to paperwork filed earlier this month at Los Angeles County Superior Court. T.J. Jackson, the youngest son of the 87-year-old matriarch's son Tito, previously served as co-guardian to the 15-year-old, but now, will be the teen's sole guardian. Katherine and T.J. Jackson also previously served as co-guardians for Michael Jackson's older two children, Prince and Paris, who are now 20 and 19, respectively. "Katherine is no longer needed to fulfill the duties that were necessary when joint-guardians were appointed on September 14, 2012," the court document reads. "Given her own age and the fact that [Blanket] is now 15 years old, Katherine feels that T.J. is able to assume all necessary responsibilities the guardianship." After Michael Jackson died unexpectedly of acute propofol intoxication in June 2009, Katherine Jackson became the guardian of the King of Pop's three children, who were all minors at the time. T.J. Jackson became a co-guardian a few years later. At a charity event for those who have aged out of the foster system, Prince Jackson told ABC News earlier this year that his cousin has been a source of support for him. "When my dad died, the thought of being in the foster system crossed my mind, but I was fortunate to have an incredible grandmother and cousin, T.J., to fall back on," he said. A representative for the Jackson family did not immediately respond to a request for comment.